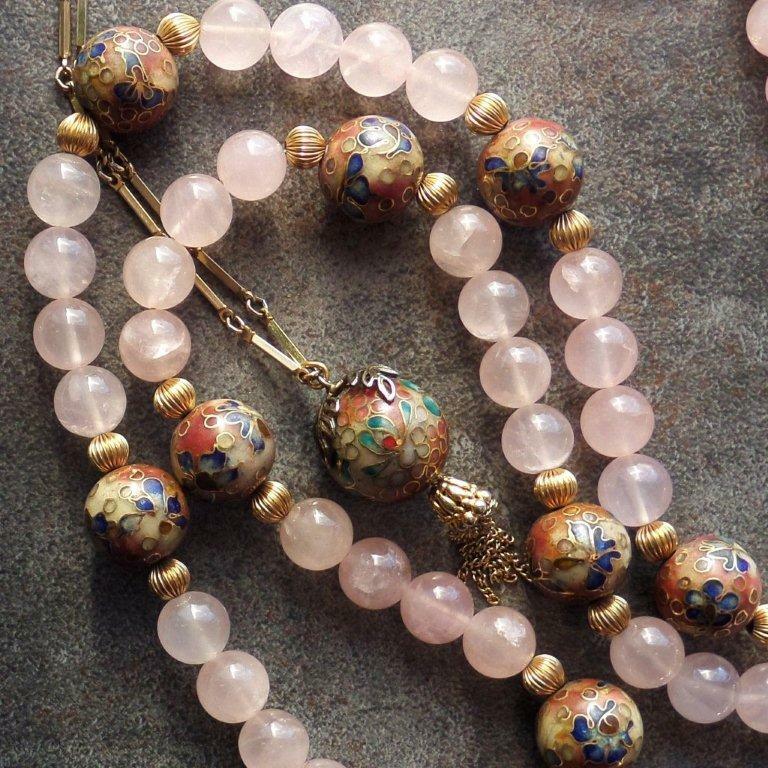 How do I know these beads were made in Taiwan? 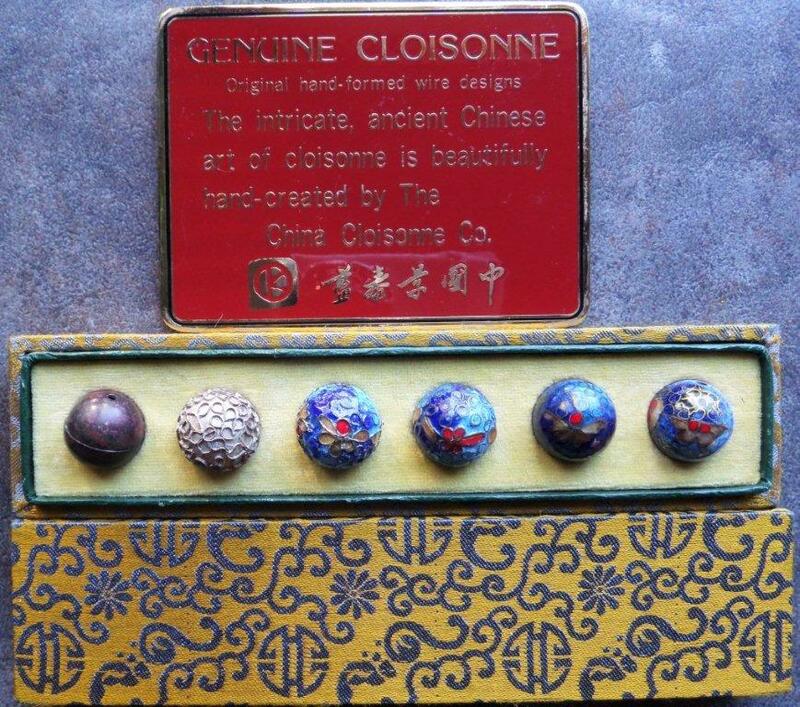 The evidence of these sample sets seems conclusive, considering the other appearances of the circle K trademark stamp as discussed in Part 1 of this series on Taiwan cloisonné. 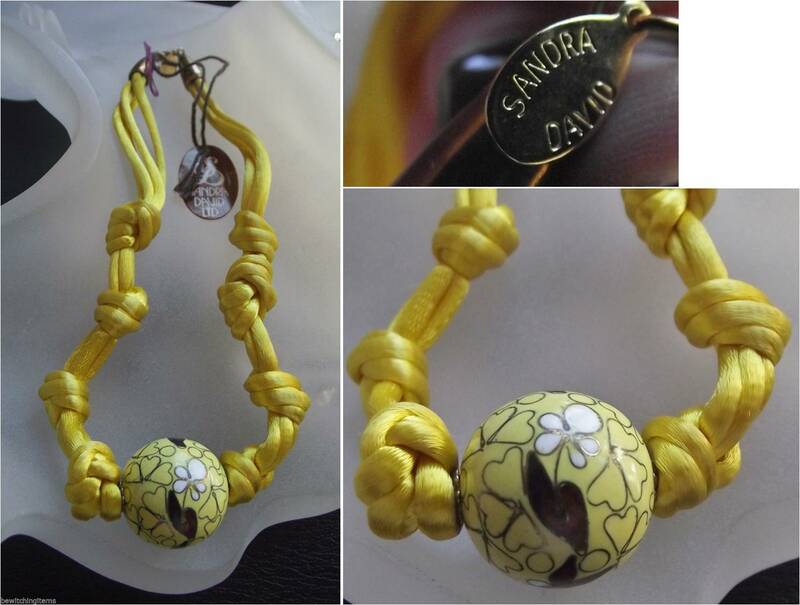 Australian eBay vendor bewitchingitems has an example of a designer necklace by Sandra David that she has owned since the 1980s, which is consistent with the 1978-1987 time frame of the “Kloison K” trademark of Robert Kuo. 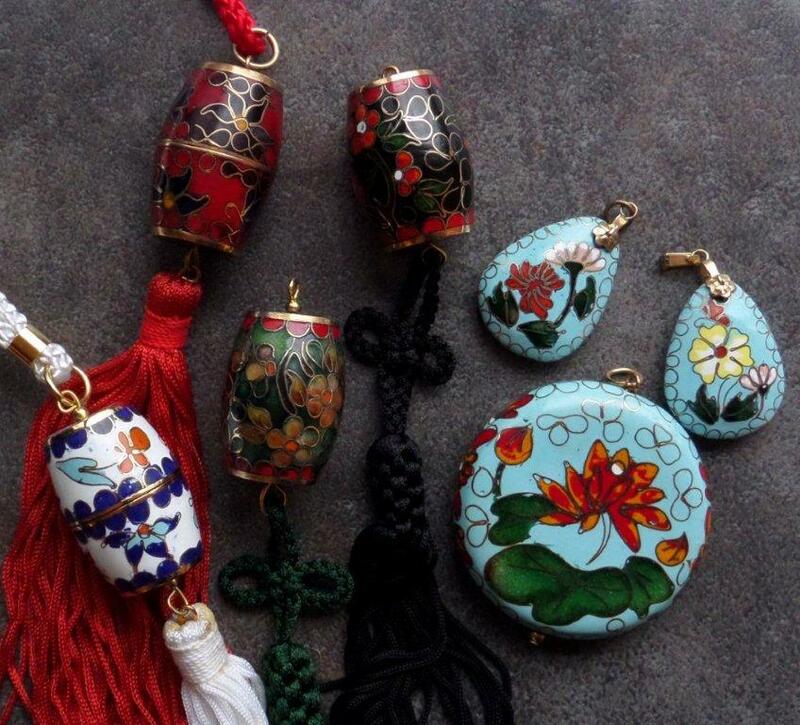 While it’s possible the beads were manufactured in Beverly Hills, it seems more likely that the Kuo atelier in Taipei, Taiwan was the production site for the beads, simply from an economics point of view. 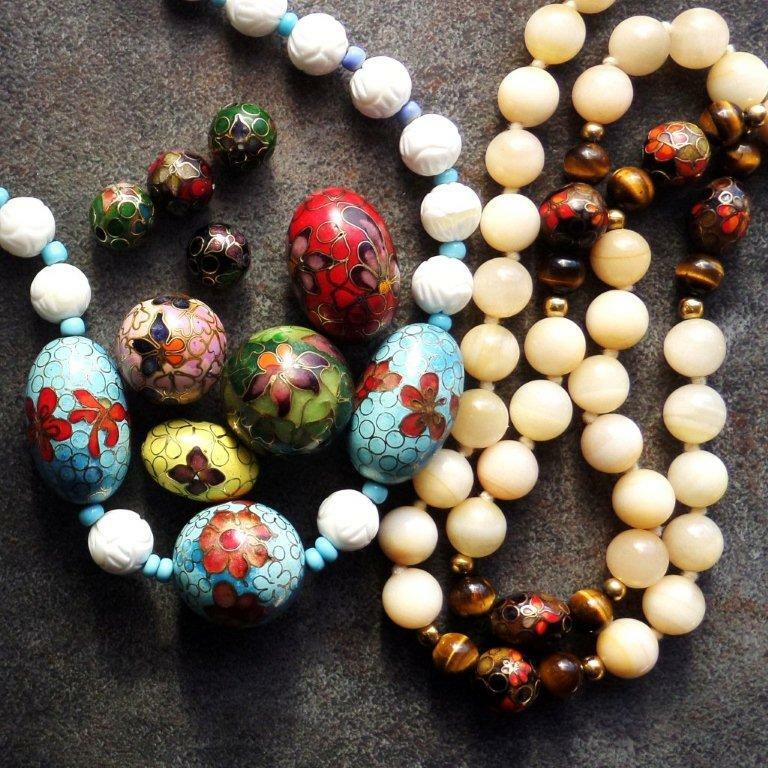 Are there two different styles in the beads? 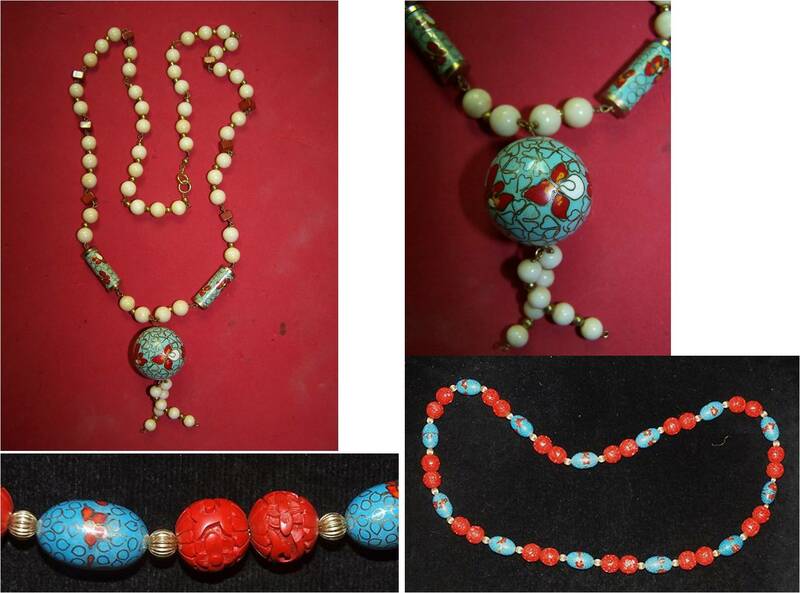 Beads in the style the boxed sets and of other Kuo cloisonne items. The capsule-shaped piece is a barrel clasp. 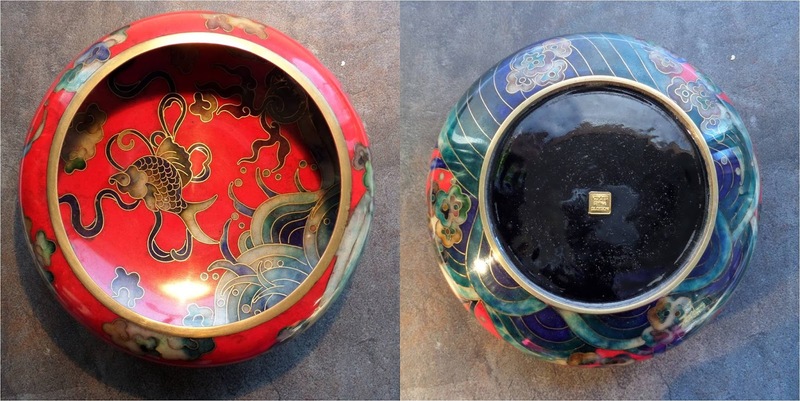 There is an evident similarity between this Kuo bowl and the design of the large bead in the photo above. 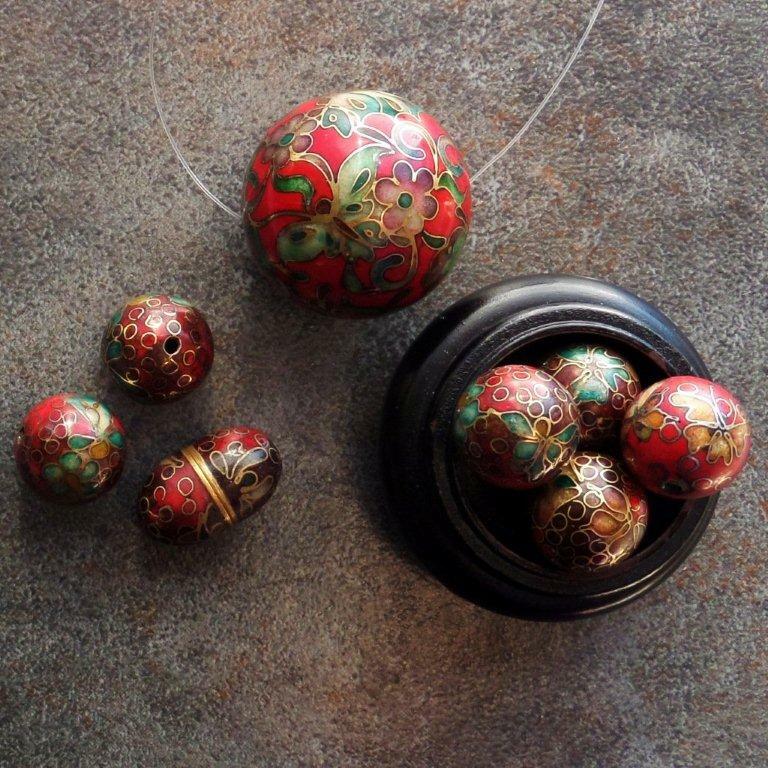 Are all the beads from the same workshop? Different artisans? Evolving style? A different workshop owned by a competitor? Puzzling evidence. What about items like these? Kuo or no? 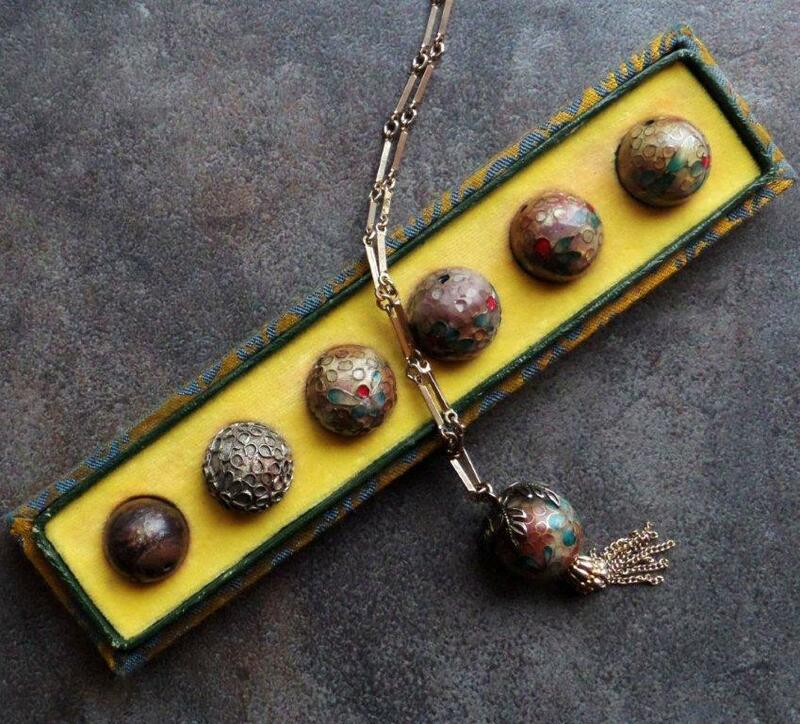 Chris - wonderful read - I particularly like the beads under my bewitchingitems yellow Cloisonne beads, are these for sale anywhere?? They seem to be hard to find. 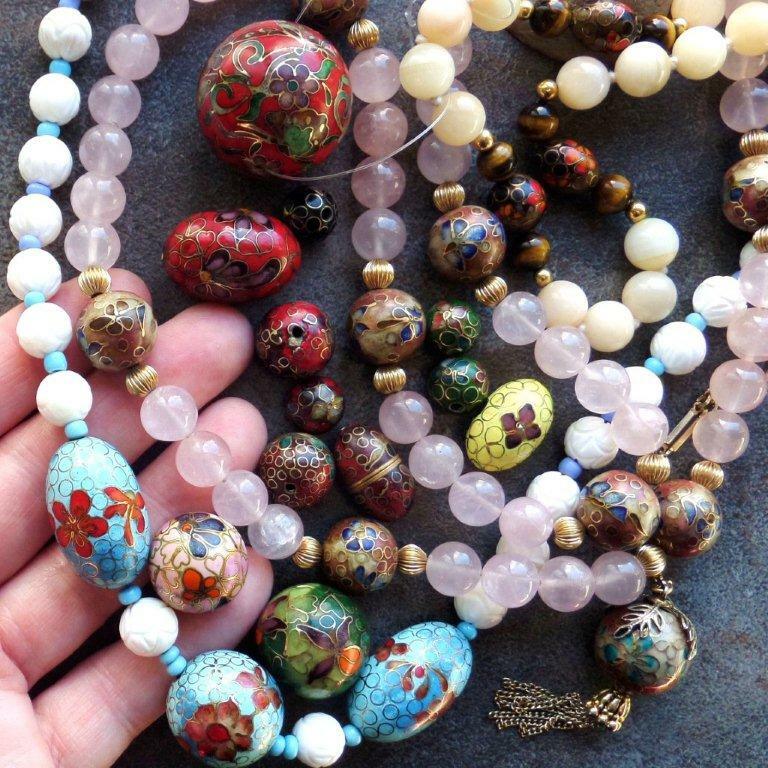 Occasionally they turn up on eBay, always already strung, usually with quartz or jade beads, and usually expensive because of the accompanying gemstone beads. Am guessing they've been out of production since the 1980s.